The Chinese insurance market is expanding enormously as risk adversity takes hold in the economy while the role of the State as guarantor of commerce is gradually reduced. In addition, insurance is a heavily regulated field with detailed contract law stipulations. An introduction to regulation and contract law and an understanding of current issues is essential for someone seeking to do business in the Chinese market. 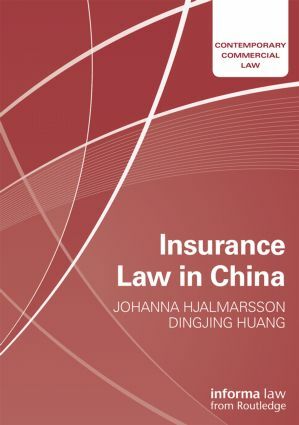 Insurance law is also a field that translates well from one jurisdiction to another, and academics will be interested in understanding how issues are dealt with in another jurisdiction. Johanna Hjalmarsson is the Informa Senior Research Fellow in Maritime and Commercial Law at the University of Southampton. Dingjing Huang is a Postgraduate Researcher at the University of Southampton.